Our sponsors truly care about veterans and about improving the quality of life for all veterans. Please visit our sponsors and let them earn your business. It is only by their generosity that we can honor our Kentucky Heroes. 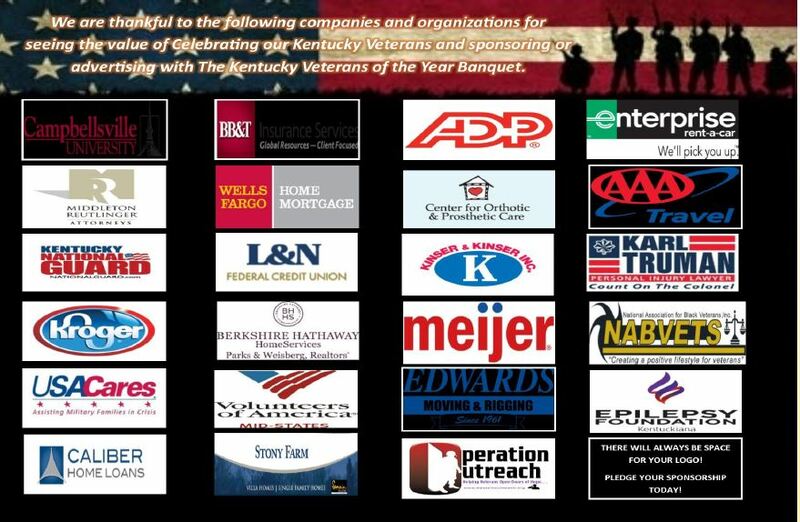 When you become a sponsor or advertizer with the Kentucky Veterans of the Year you can rest assured you are not alone. These fine businesses have put their faith and trust in our program in previous years to represent veterans with honor.